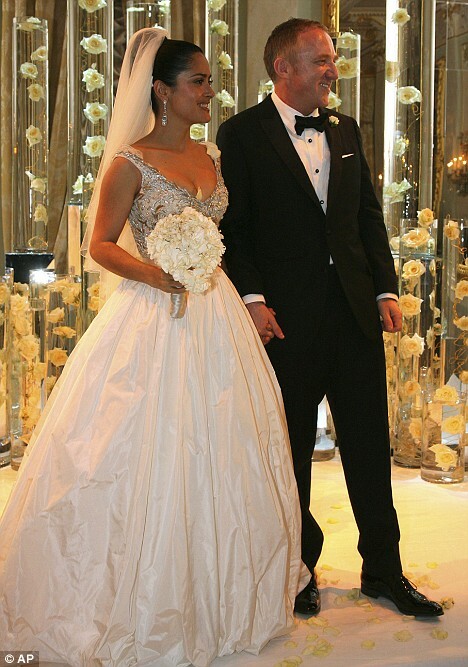 Celebrities Weddings, Who Had The Most Expensive Wedding ! Some people have no problem to spending a hundreds of thousands — even millions — on commemorating their love. 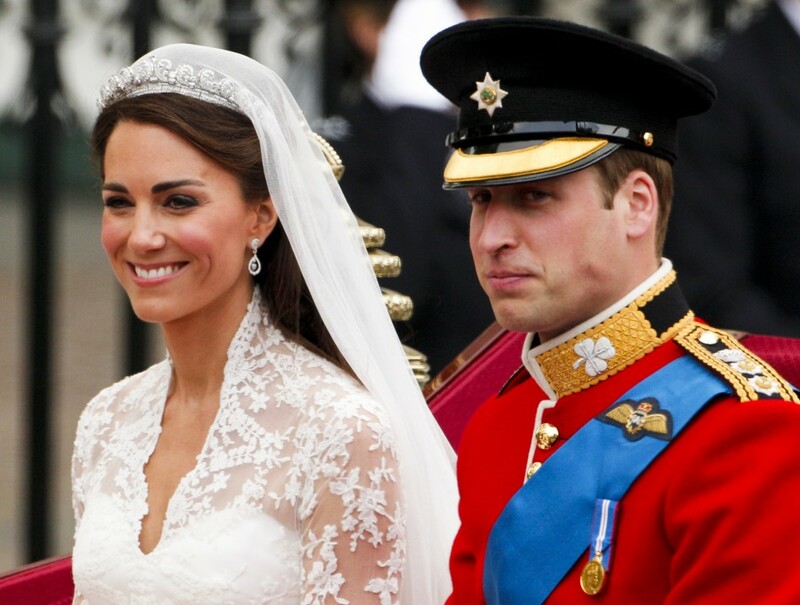 Ceremony of their wedding day are glamorous, luxurious and magical…..
Kate Middleton and Prince William ! Kate Middleton and Prince William spend $ 70 million on their wedding day, so this wedding is considered the most expensive wedding and holds the record first position. This royal wedding was also the most watched celebrities wedding . On the wedding was very important and noble guests as the couple Beckham, Elton John and many others, the wedding ceremony was followed by millions of people through television programs. Selma Hayek and Francois Pino ! French businessman Francois-Henri Pinault and Selma Hayek, were married on – St. Valentine’s Day – in the City Hall of the Sixth Arrondissement in central Paris, according to the publication, which is owned by the Pinault family. They spent for their wedding between 3 and 3.5 million $. 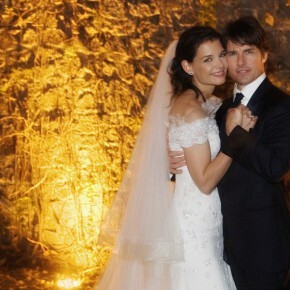 Katie Holmes and Tom Cruise ! 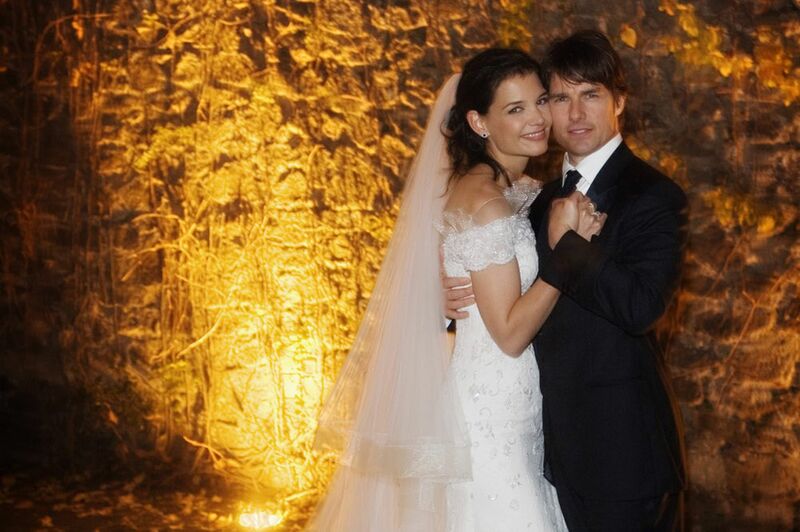 The famous Hollywood couple Katie Holmes and Tom Cruise were married in Italy in the trap outside of Rome. They spent $ 2 million on their wedding. The wedding ceremony was fabulous and magical. The opera singer Andrea Bocelli sang at the wedding, and all the guests were A-list, such as Jennifer Lopez, Will Smits and his wife Jada, Beckham and many others. Kate’s gorgeous wedding dress was designed by George Armani . Madonna and Guy Ritchie ! 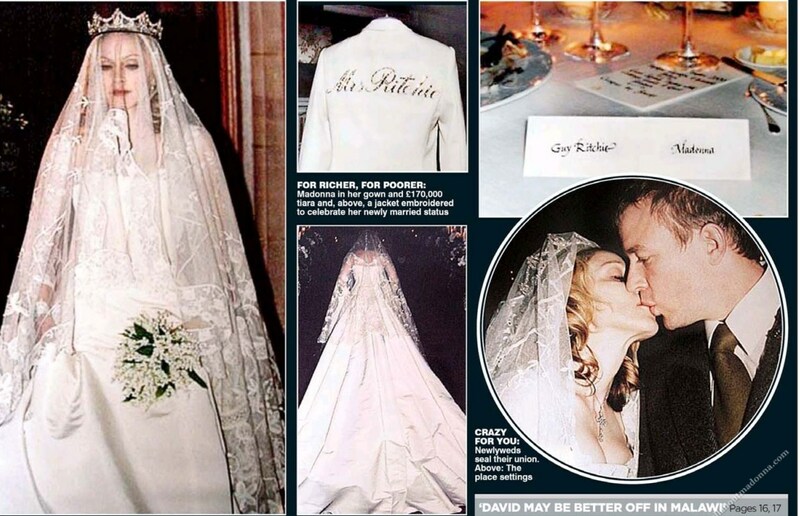 Madonna got married to Guy Ritchie at the Skibo Castle in Sutherland, Highland, Scotland, on 22nd December 2000. 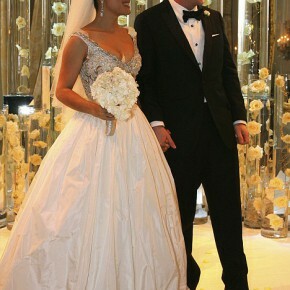 The wedding ceremony of Madonna and Guy Ritchie has cost $ 1.5 million. Madonna wore a vintage tiara that once belonged to Princess Grace Kelly . 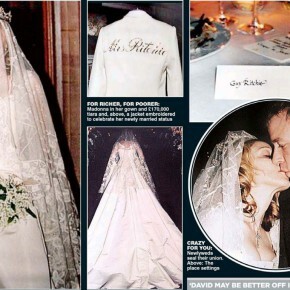 Madonna wore antique French jewelry and Gothic style wedding dress that was designed by Stella McCartney, daughter of Beatle Paul McCartney. 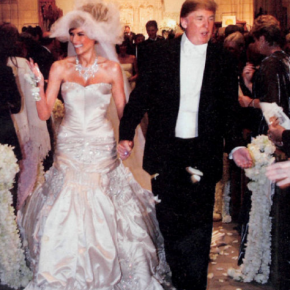 On the wedding was very famous guests like Donatella Versace ; Sting with wife Trudie Styler; Stella McCartney; Robin Williams; Rupert Everett; Brad Pitt , included Gwyneth Paltrow, apparent maid of honor. 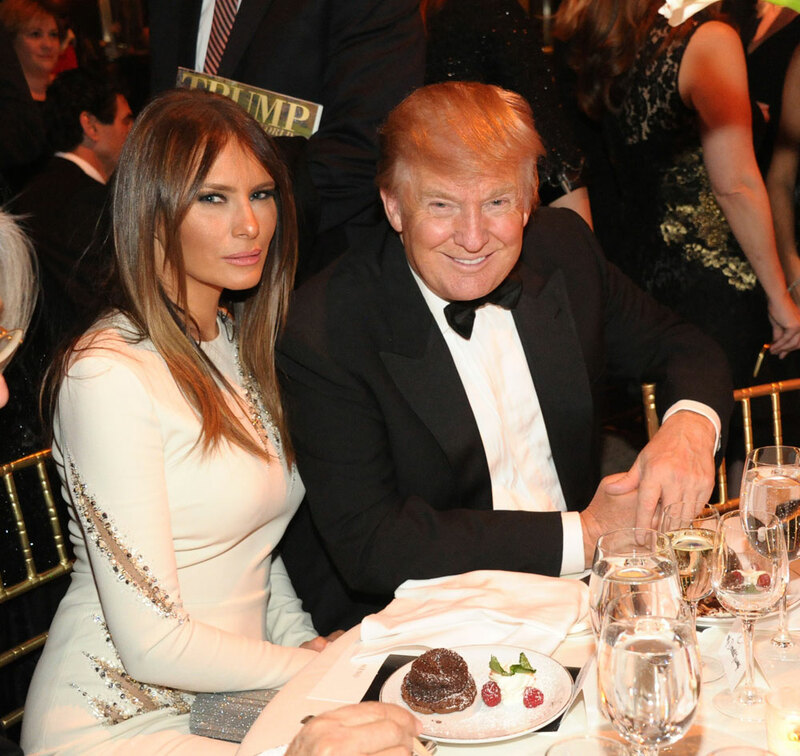 Donald Trump and Melania Knaus ! Donald and Melania were married in January, 2005, it was a major news event. They spent $ 1 million for their wedding. 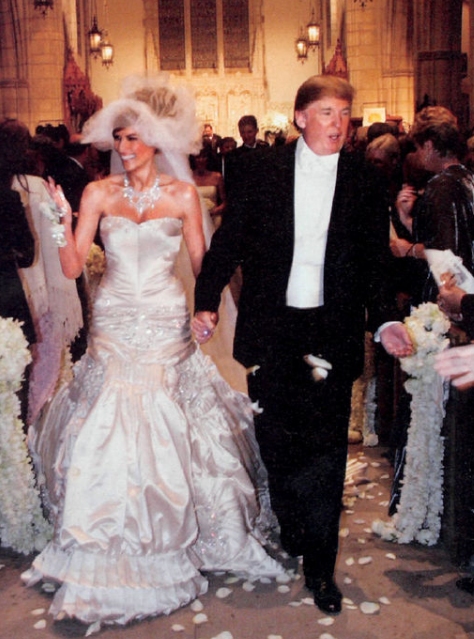 Melanie wore a gorgeous 50 pound wedding dress with a 13-foot train, rumored to have cost between $100,000 and $200,000, had almost 300 feet of material and 1,500 crystal rhinestones and pearls. Dress was designed by John Galliano of Christian Dior . Some of the 500 wedding guests invited included Luciano Pavarotti, Oprah Winfrey, Clint Eastwood, Alfonse D’Amato, Usher, and Elton John. Other guests were Prince Charles of Britain, Prince Albert of Monaco. Brad Pitt and Jennifer Aniston ! 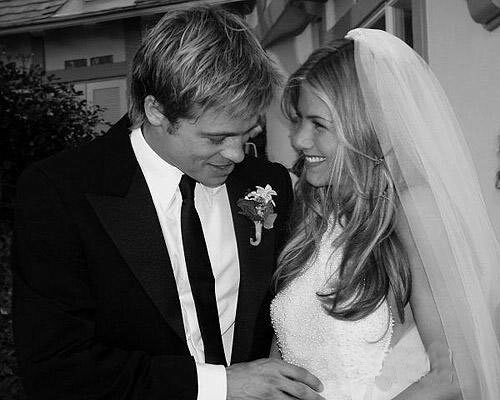 Brad Pitt and Jennifer Aniston at her Malibu wedding spend $ 1 million. Guests such as Cameron Diaz, Selma Hayek, Courteney Cox, David Schwimmer, and many others completed this fairytale. On they wedding ceremony Jennifer and Brad had 200 guests, over 50,000 flowers, a gospel choir, four bands, and fireworks at their wedding reception. They served lobster and champagne. Jennifer wore sandals designed by Manolo Blahnik that were ivory suede with tiny ankle straps and double bows. Do You Know How To Choose The Right Cocktail Dress ?